For the publishers Random House, WITS Interactive created an ePub in the interest of children which talks all about Dinosaurs. 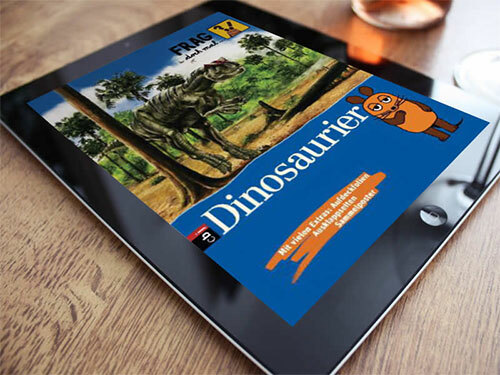 Dinosaurier ePub is created for kids with interactive features. This book is in German language. It's a fixed layout ePub. PIRATEN was another similar format ePub created in the interest of kids. These ePubs have image zooming feature which shows the over laying of the image and give a clearer picture. This certainly was a hit among children! Both the books created were well received by our clients and kids equally!